Product Consists : 4 Imported Chocolate Bars, 100 Gms Chocolate Dates, 100 Gms Cashew and 100 Gms Almonds altogether arranged in a Cane Basket. A gift which will impress all with its quality and flavour has a combination of some exclusive collection of Dry fruit, Assorted imported chocolates and Chocolate Dates. The combo has Bounty, Go fresh and many more all packed in a very stylish gift basket. 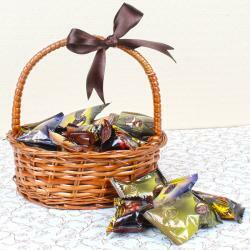 Basket contains Kaju, Badam and chocolate dates. The overall look of the gift hamper looks amazing and will be cherished for their entire life. This combo has all imported items which are very delicious in taste are especially handpicked. 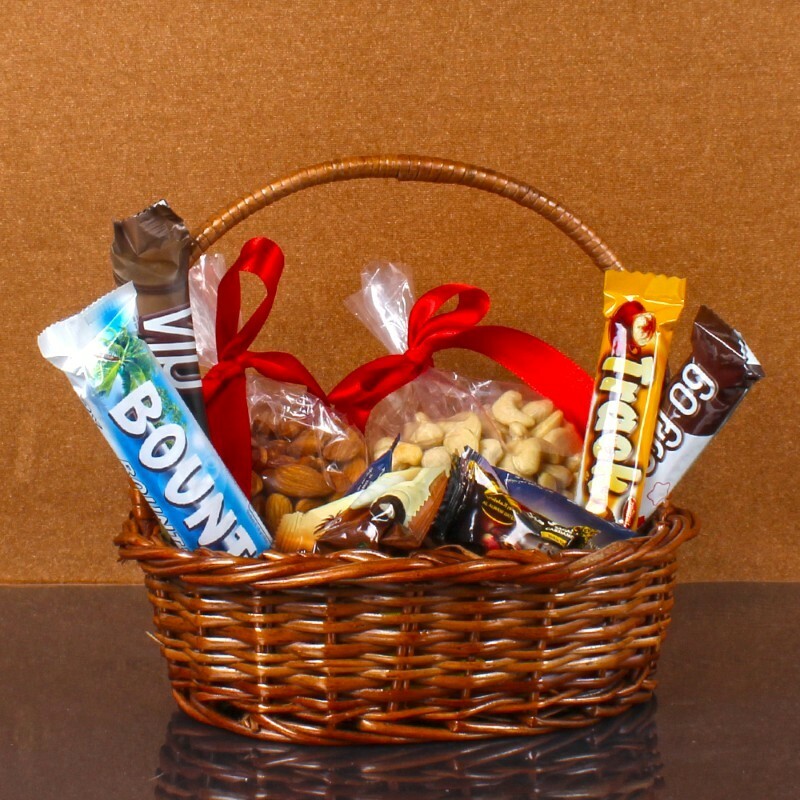 This is a mind blowing gift hamper of imported assorted chocolate bars, Dry fruits and dates that are elegantly arranged in a stylish basket made of cane. 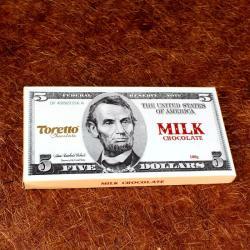 The Imported chocolate has a very soothing taste and melts beautifully on the tongue. Chocolates and Dry Fruits are nice gift for any occasion. 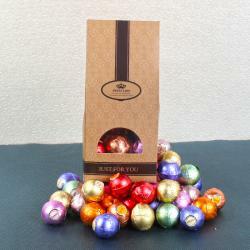 All prefer chocolate gifts as it is relishes by everyone. Product Includes : 4 Imported Chocolate Bars, 100 Gms Chocolate Dates, 100 Gms Cashew and 100 Gms Almonds altogether arranged in a Cane Basket.